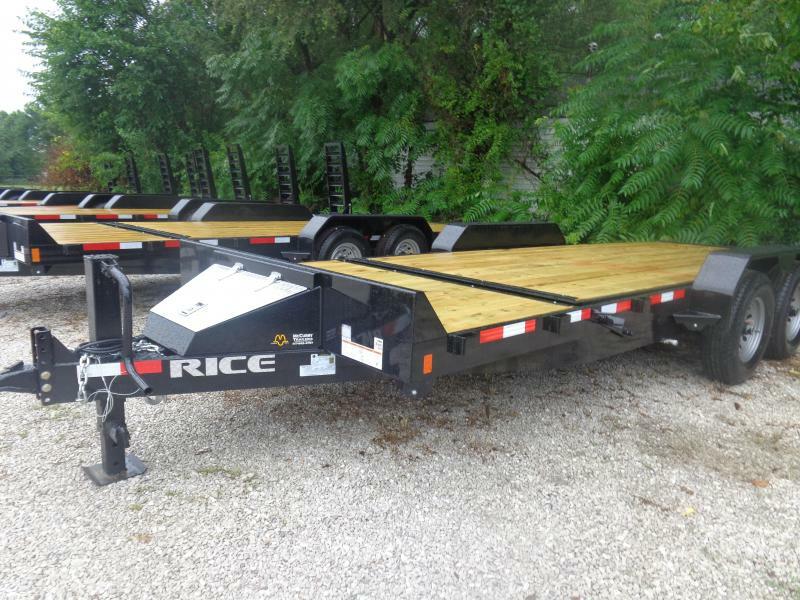 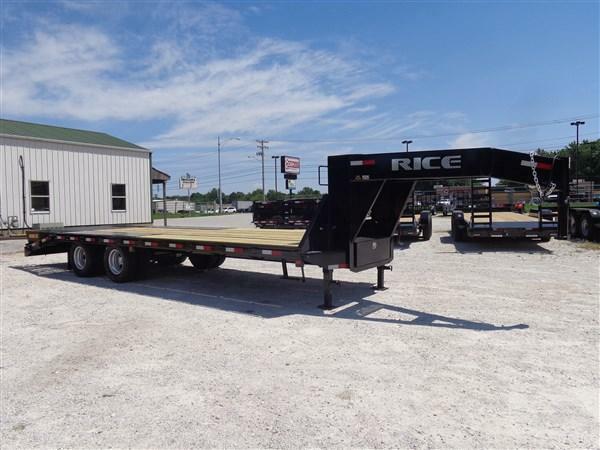 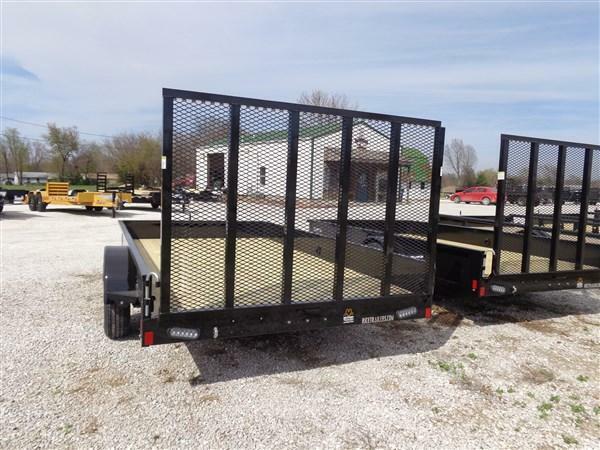 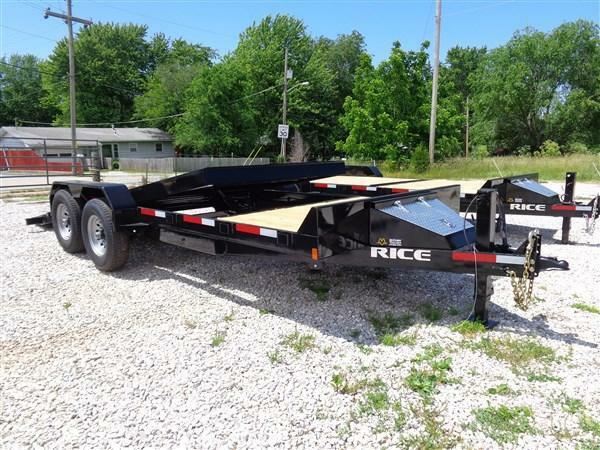 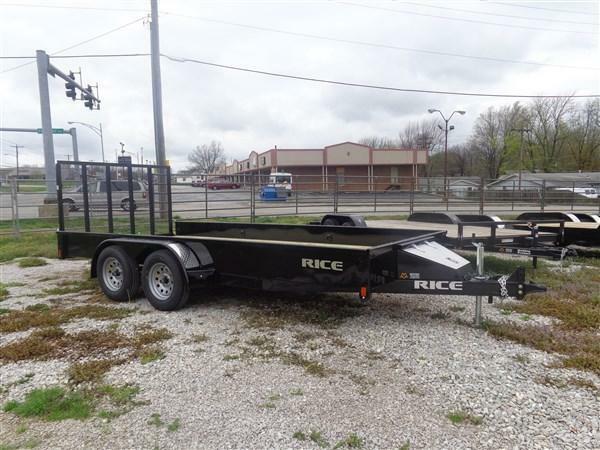 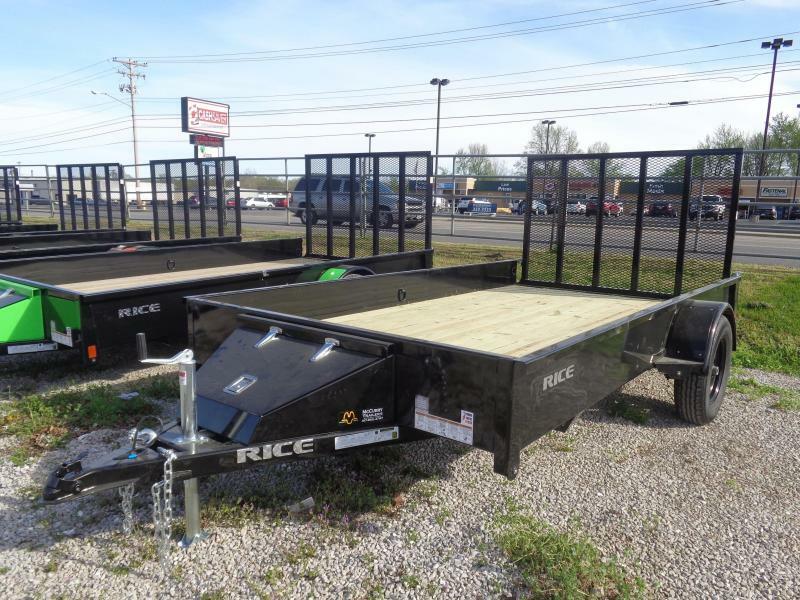 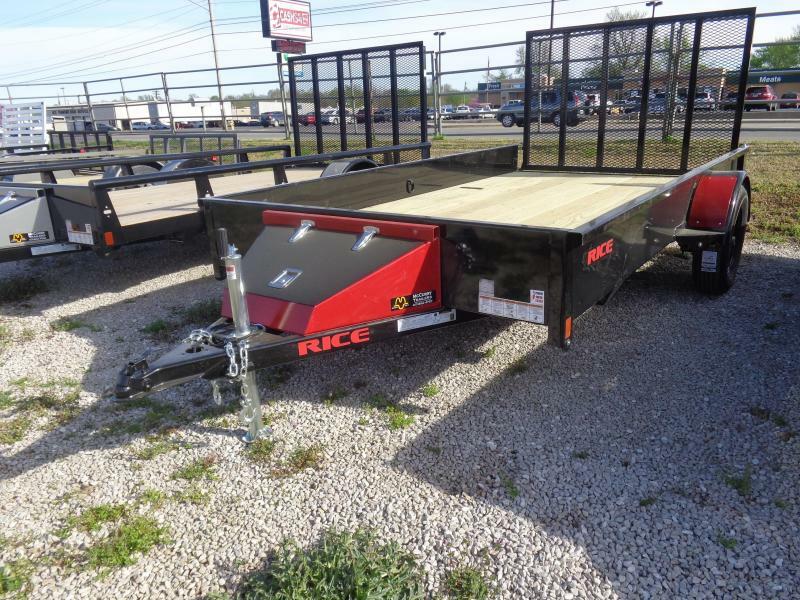 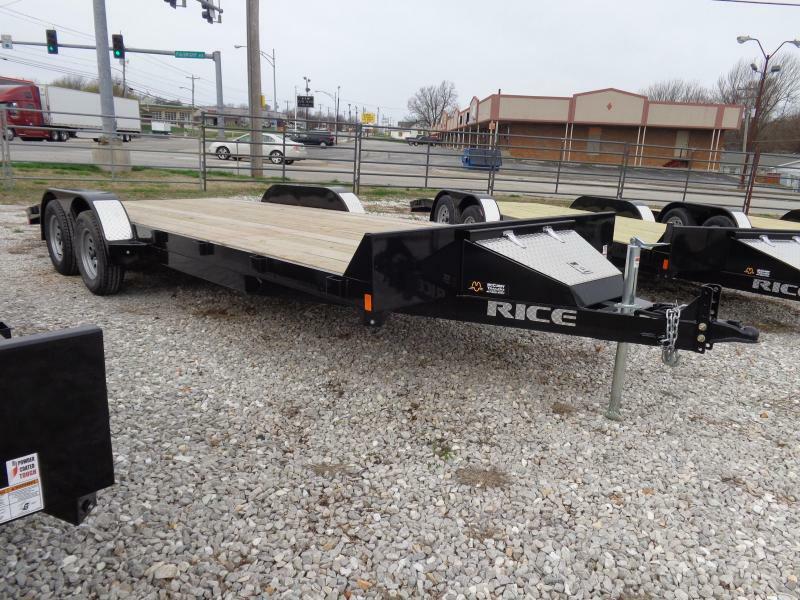 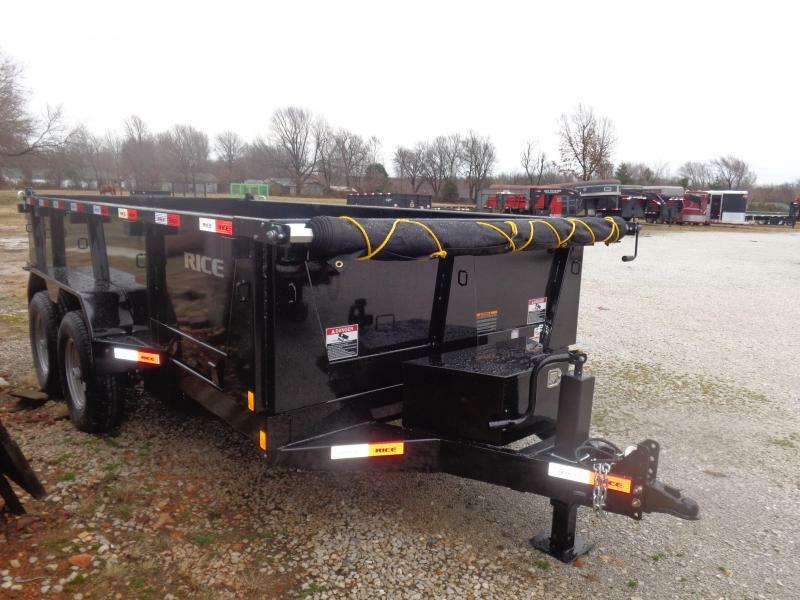 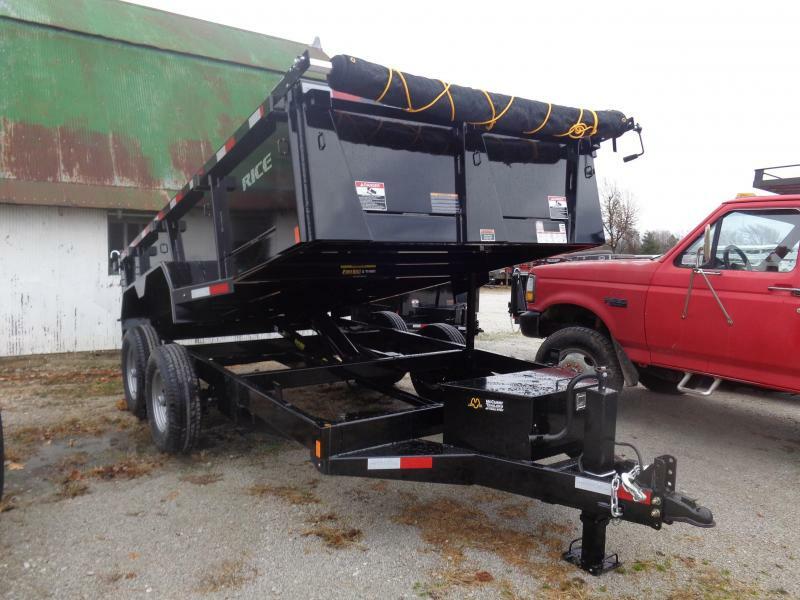 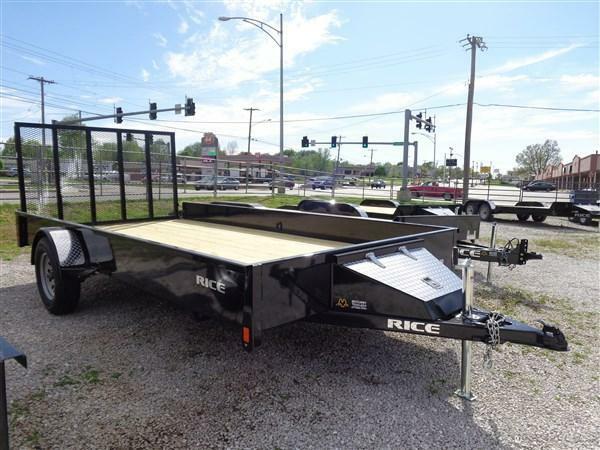 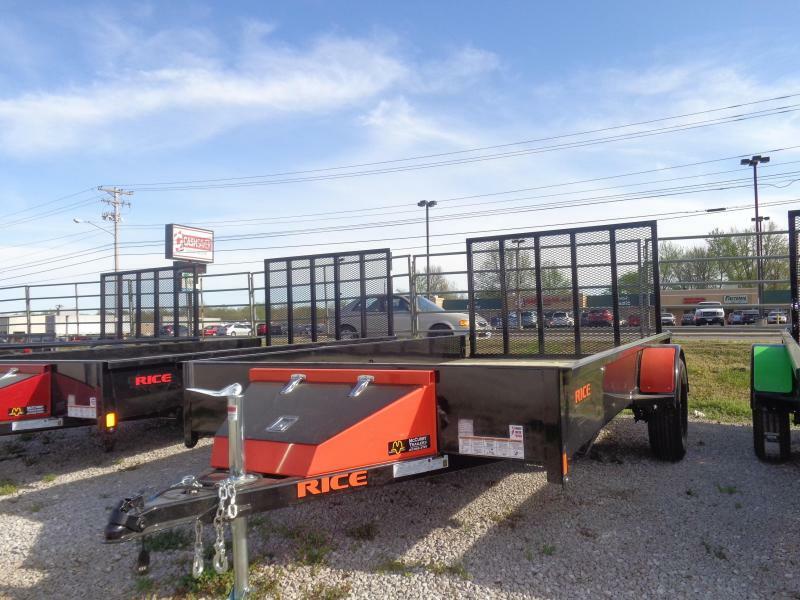 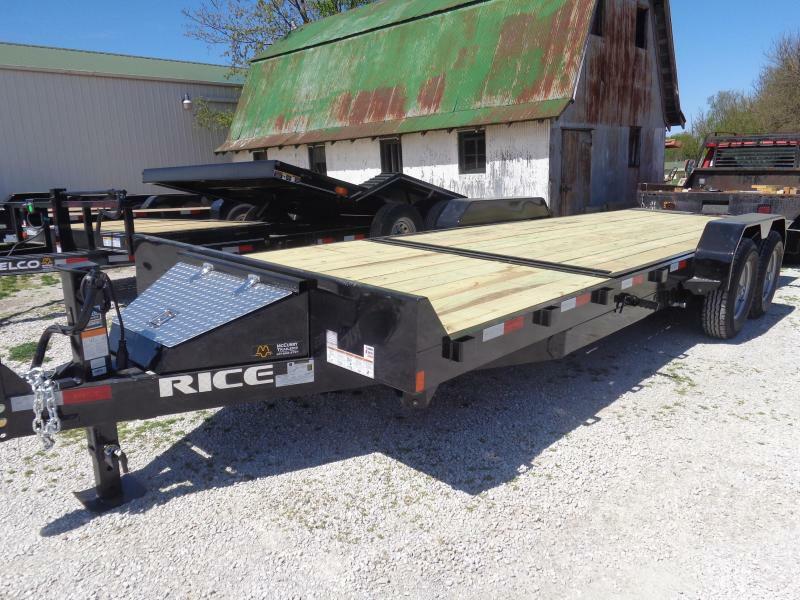 Rice Trailers | McCurry Trailers in Springfield MO is your local Springfield MO Trailer dealer for flatbed utility trailers, enclosed cargo trailers, stock trailers, and trailer service. 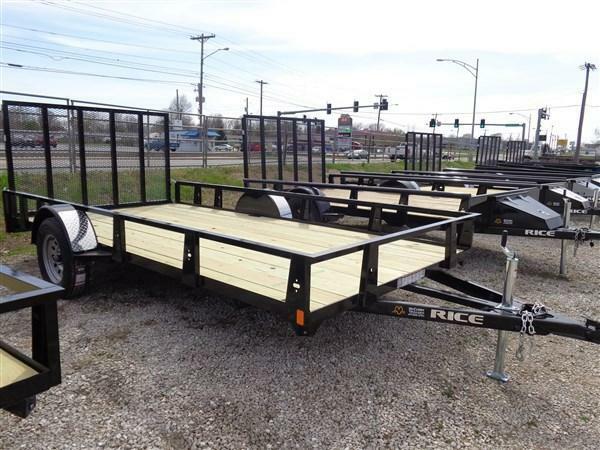 (JUST CAME IN NOT UNLOADED YET) 4' Drop Gate, 1-3500# Axle, New 15" 6-Ply Radial Trailer Tires, Treated Floor, Jack Set Back, Enclosed Wiring, LED Lights, Powder Coated! 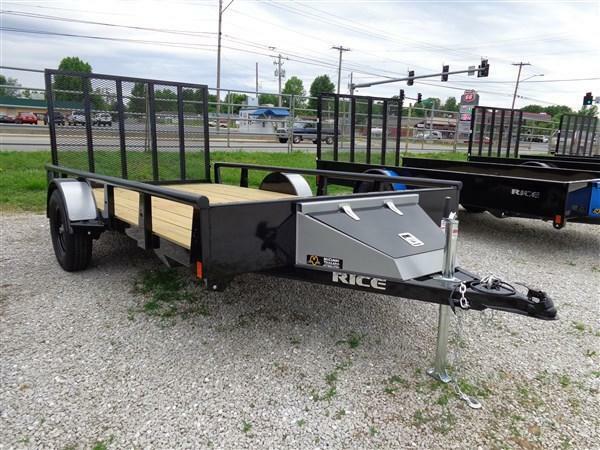 Lockable Tool Box w/Aluminum Lid, 4' Drop Gate, 14" Solid Metal Sides w/ 8 (eight) D-Rings Inside Bed, 2-3500# Axles w/ 1-Electric Brake Axle, New 15" 6-Ply Radial Trailer Tires, Treated Floor, Jack Set Back, Enclosed Wiring, LED Lights, Powder Coated!